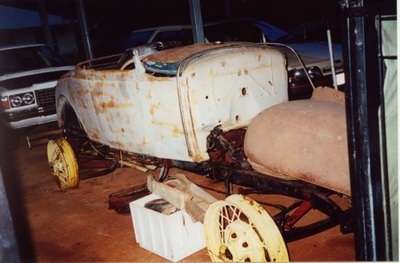 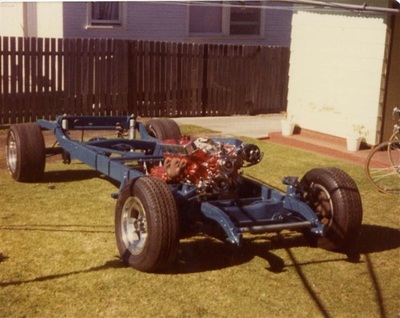 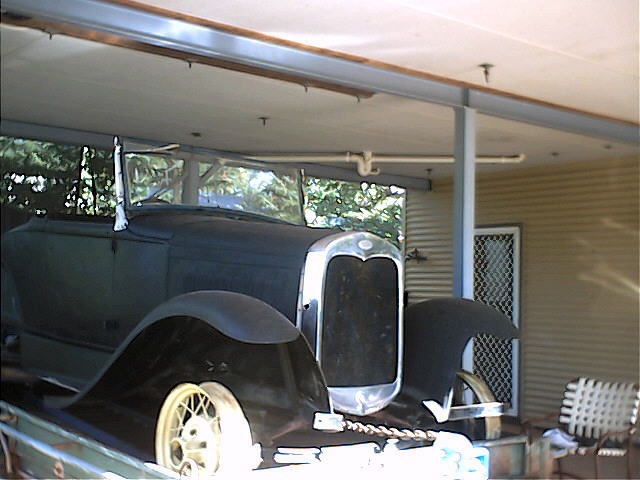 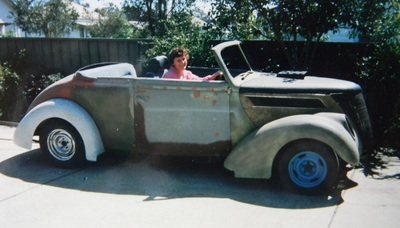 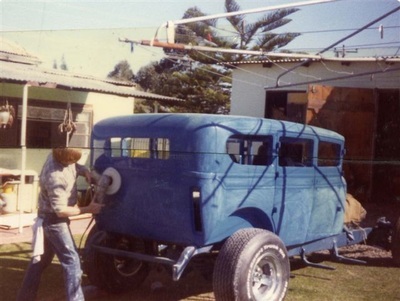 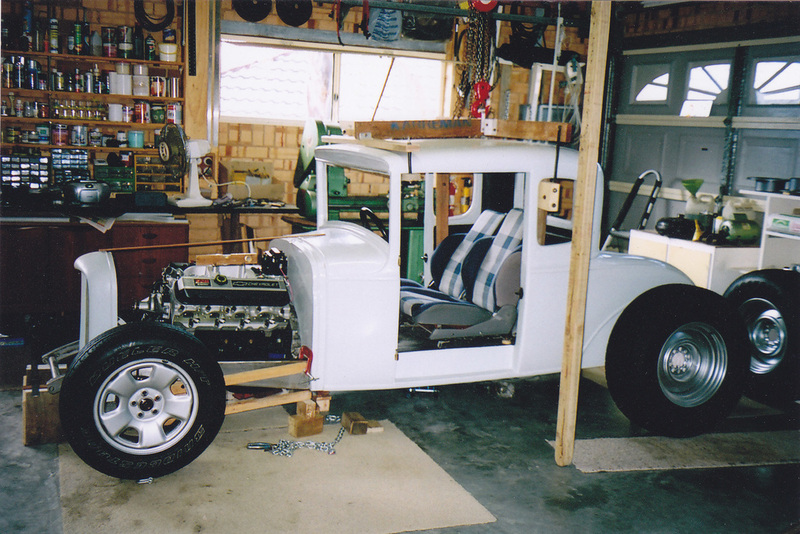 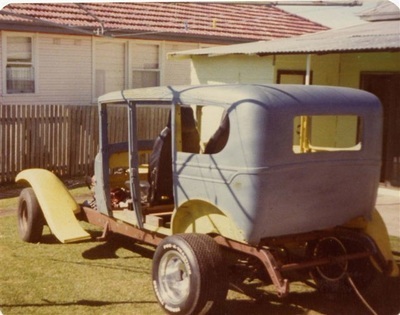 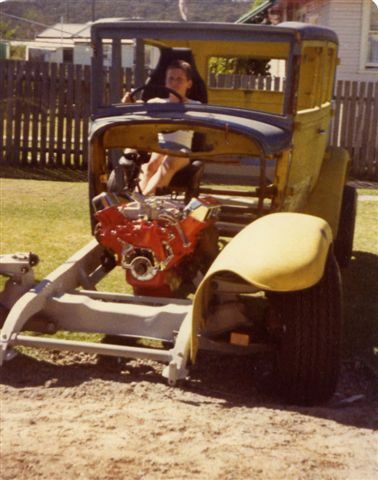 Mick's 1930 Model A Deluxe which he found in Katherine in 2002. 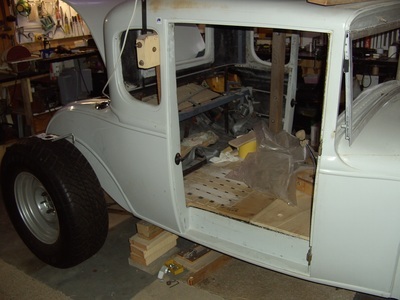 It is still being built and the pictures show some of the progression he has made over the last 8 years. 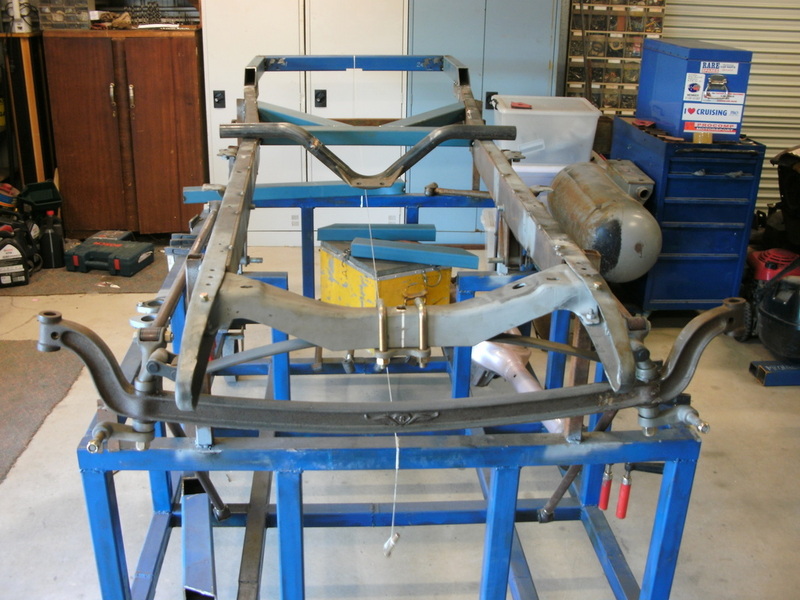 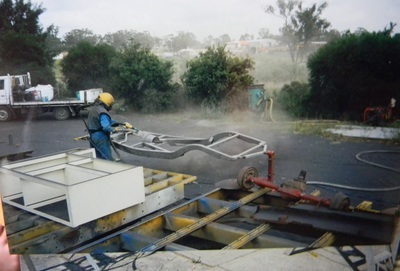 In March 2012 the chassis was inspected and passed by the engineer. 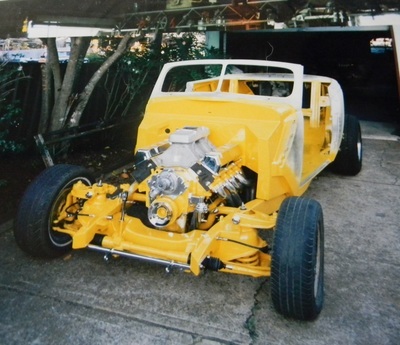 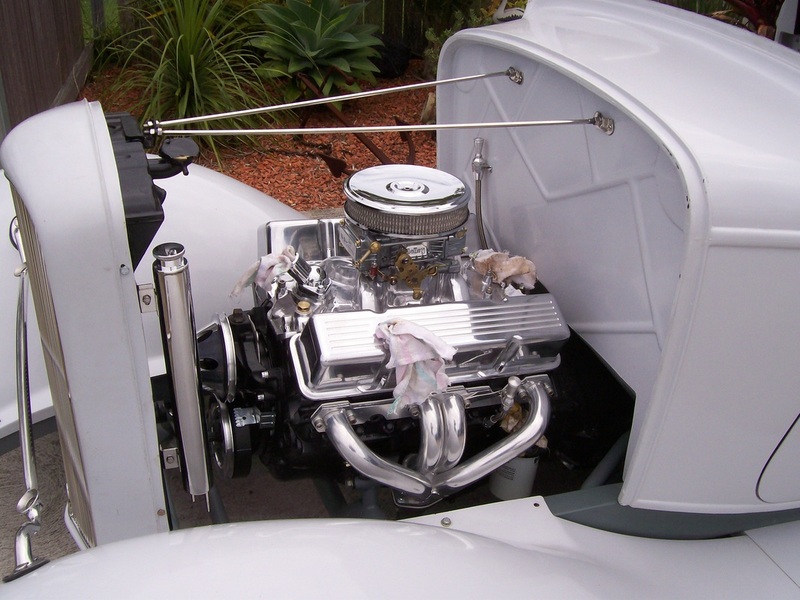 The pictures below are those of Noel's 1937 Ford Roadster which was built over a 23 year period from 1982 to 2005. 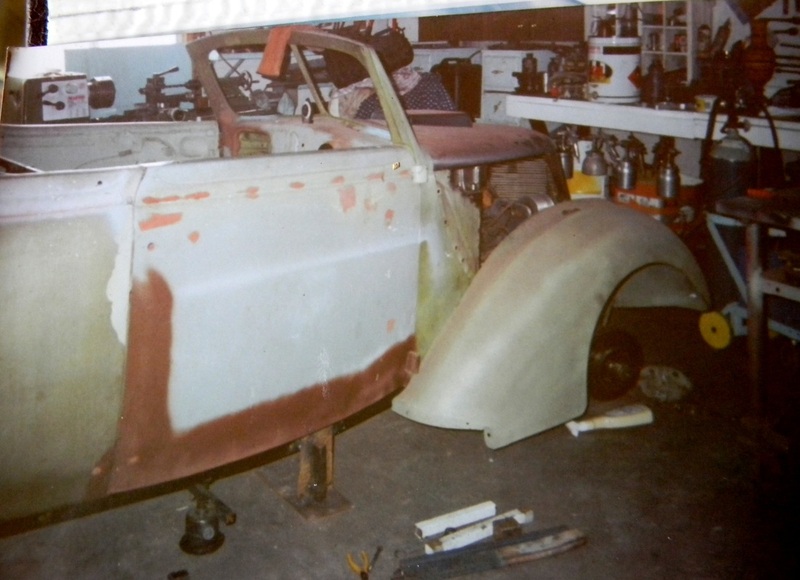 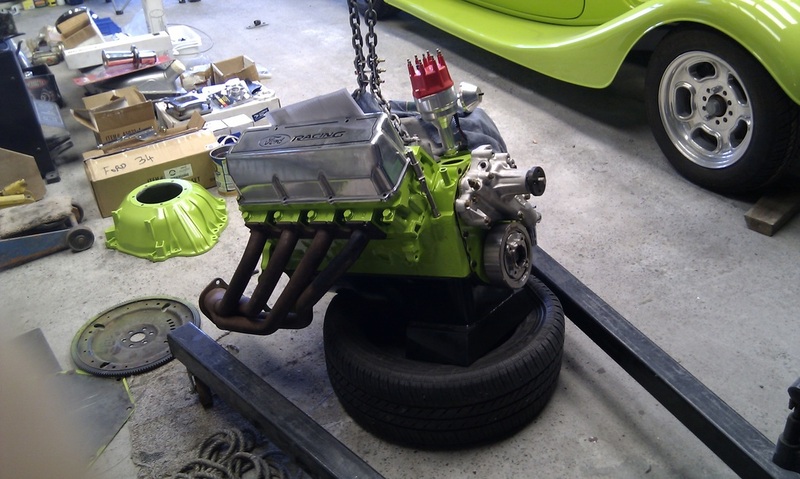 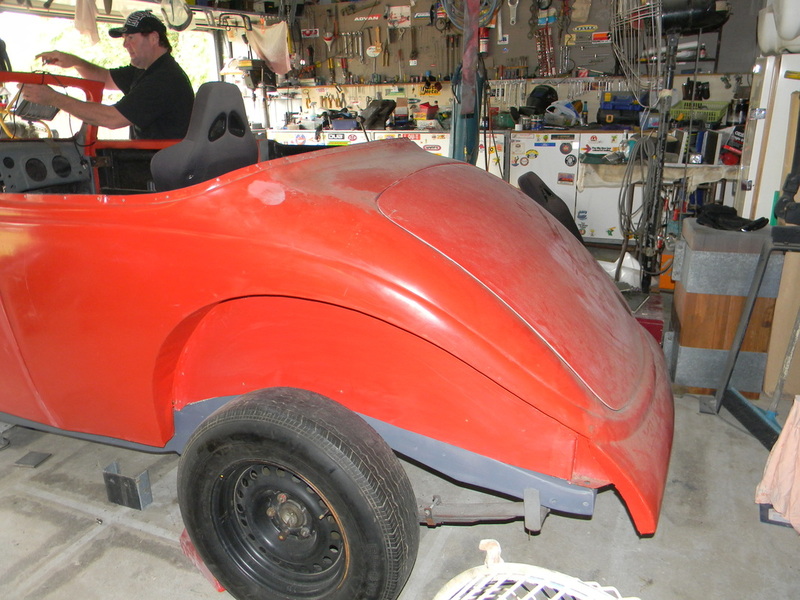 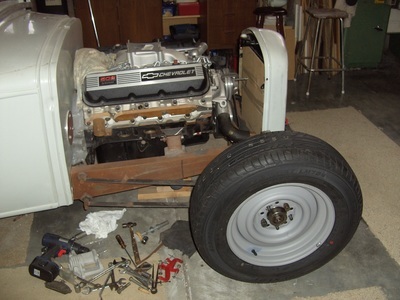 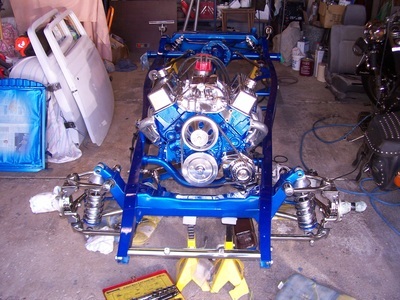 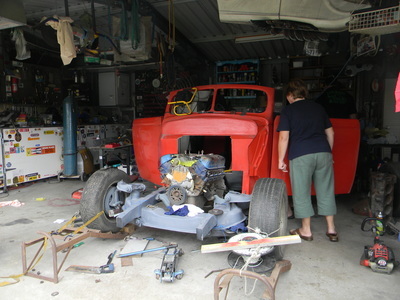 Rodney's 1937 Ford Roadster being built in 2011 is nearing its 1st inspection stage. He hopes to have it registered by the end of 2012 and with Noel's expert help it should happen. 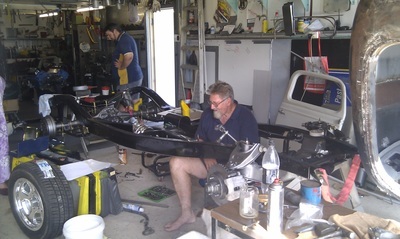 Noel ended up going away for the last 8 months of 2012 so it is now hoped the rod will be registered by mid 2013. 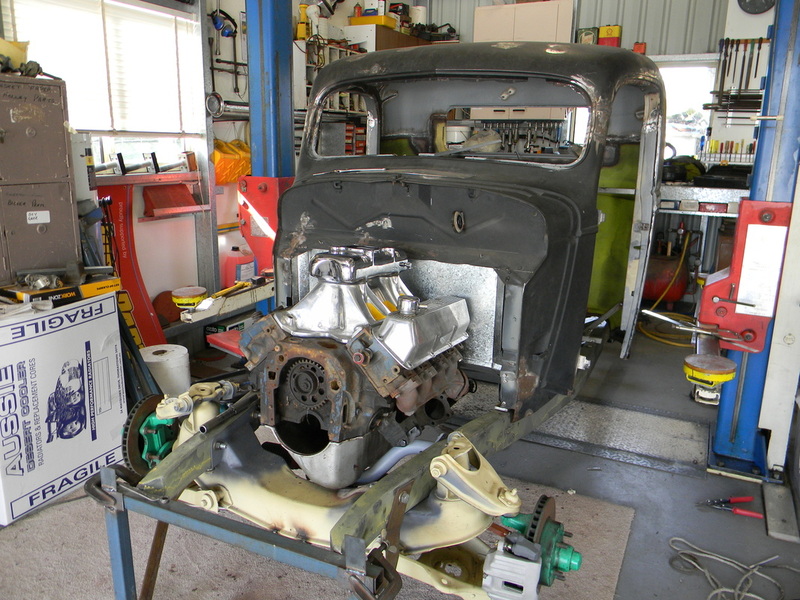 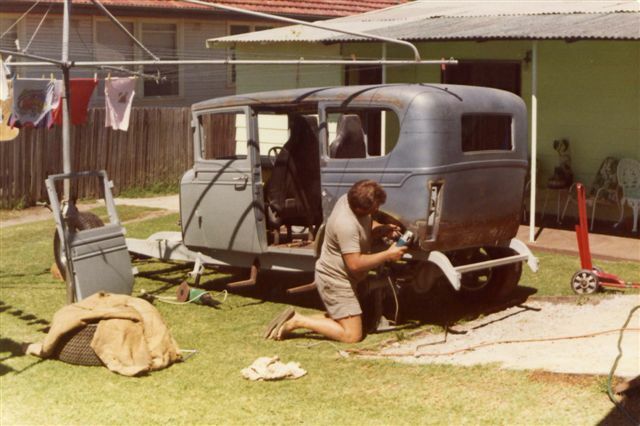 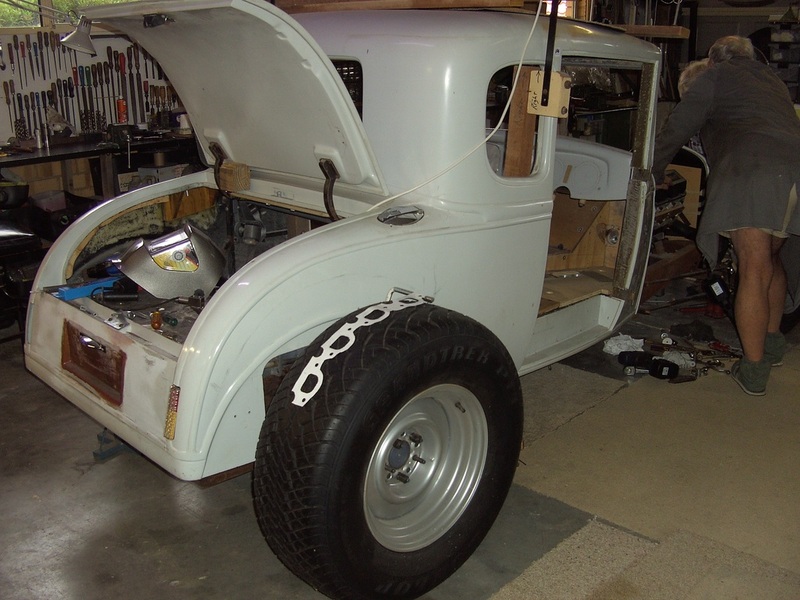 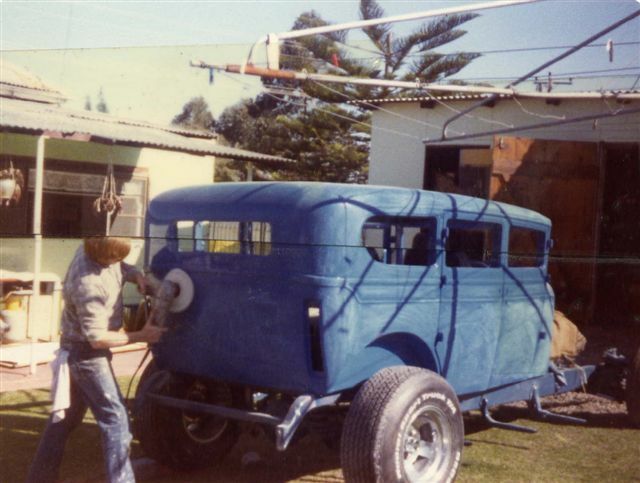 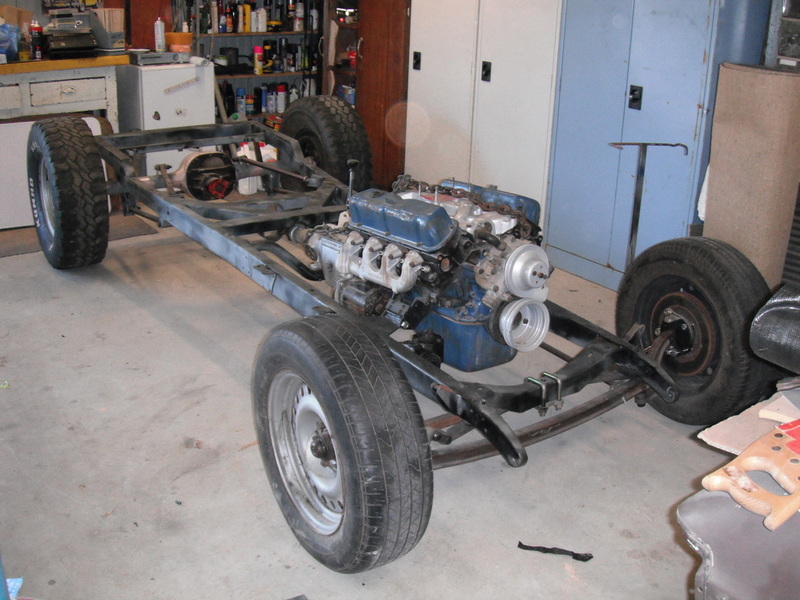 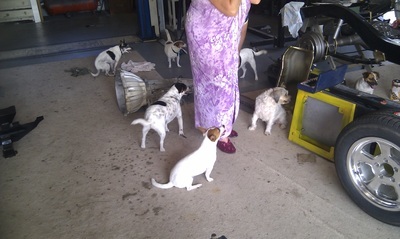 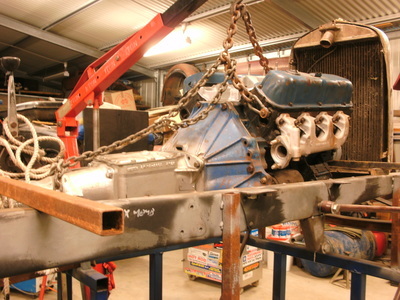 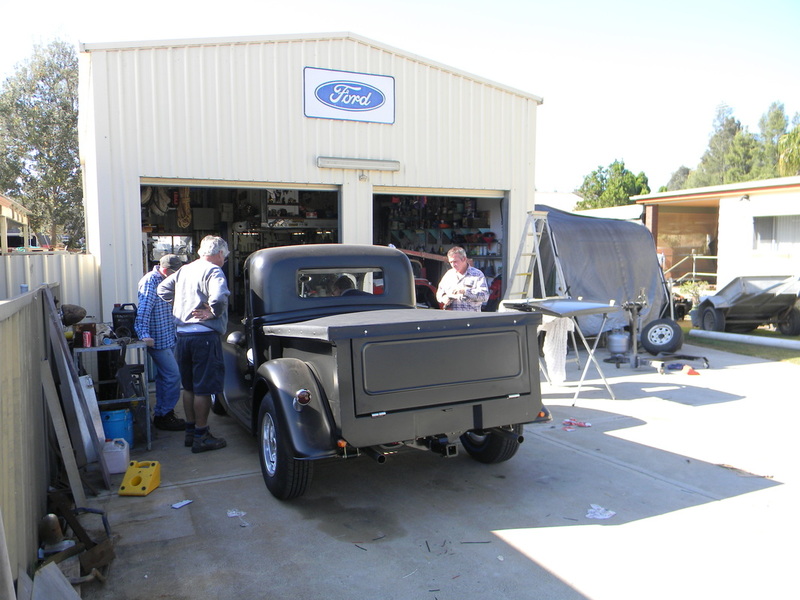 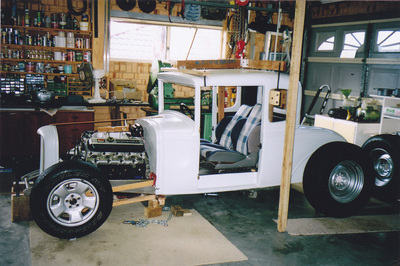 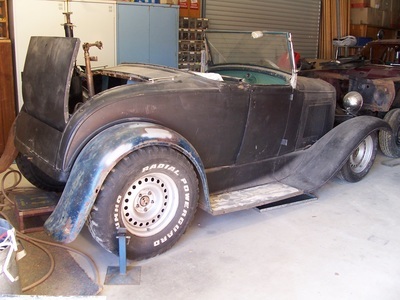 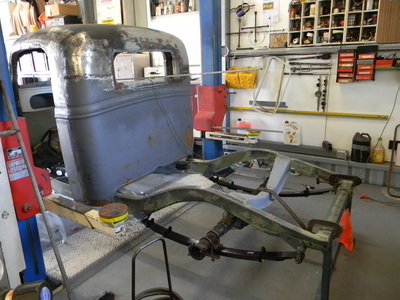 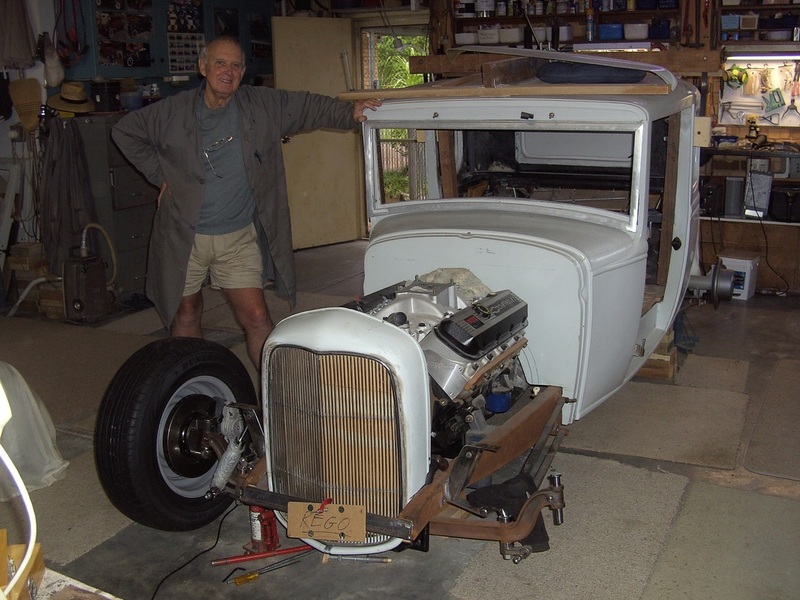 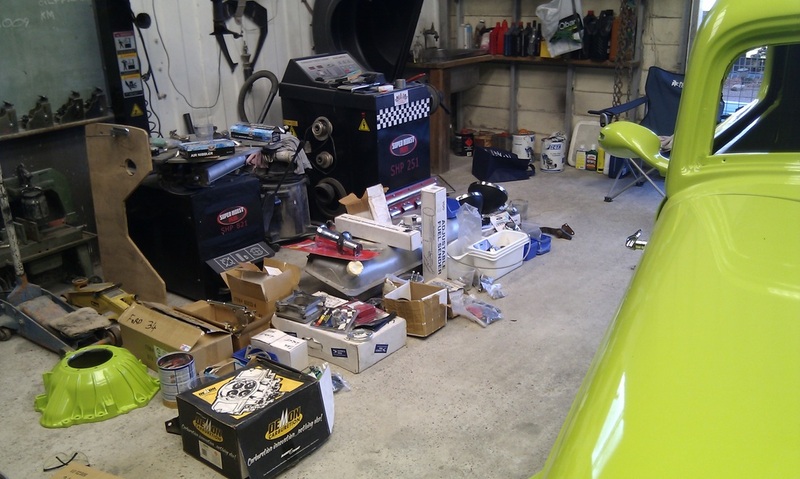 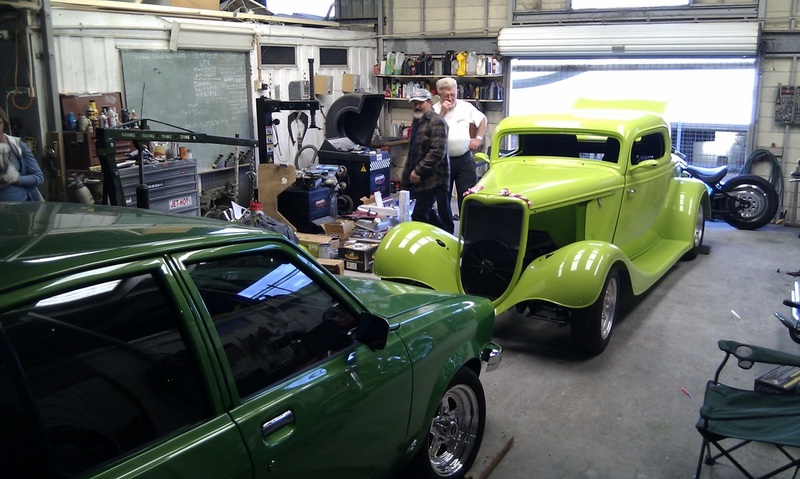 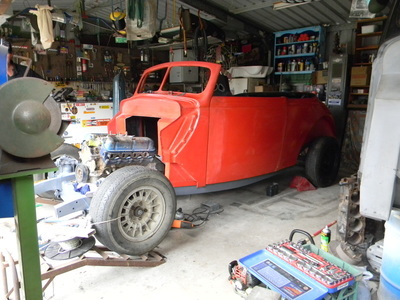 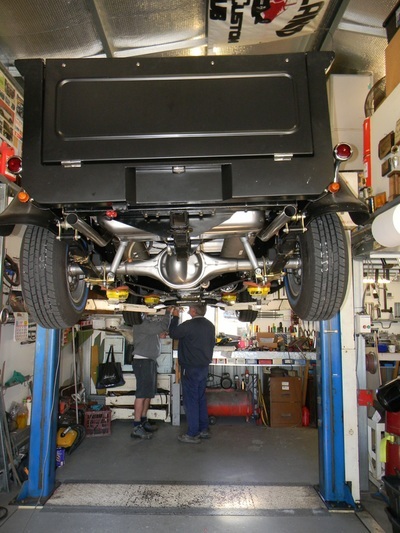 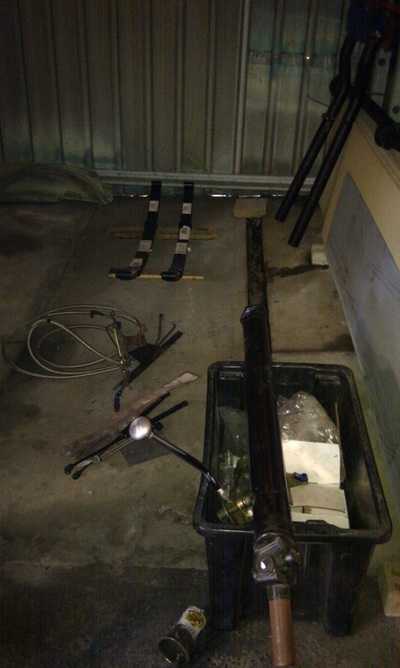 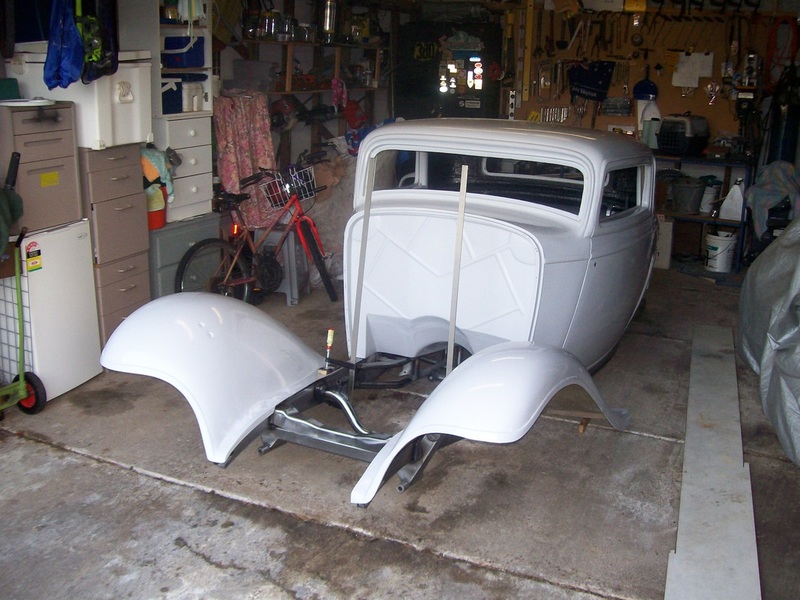 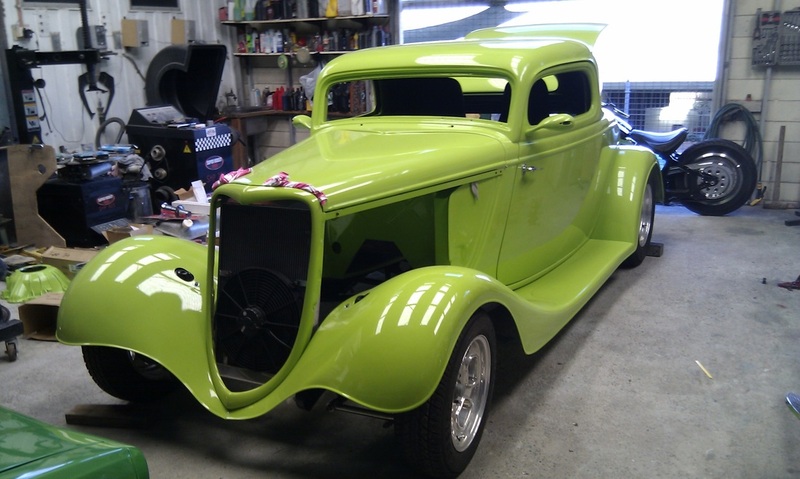 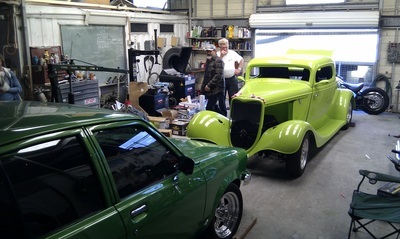 As well as helping Rodney, Noel is building his 1937 Ford Pickup. 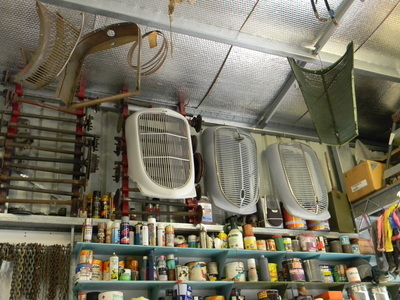 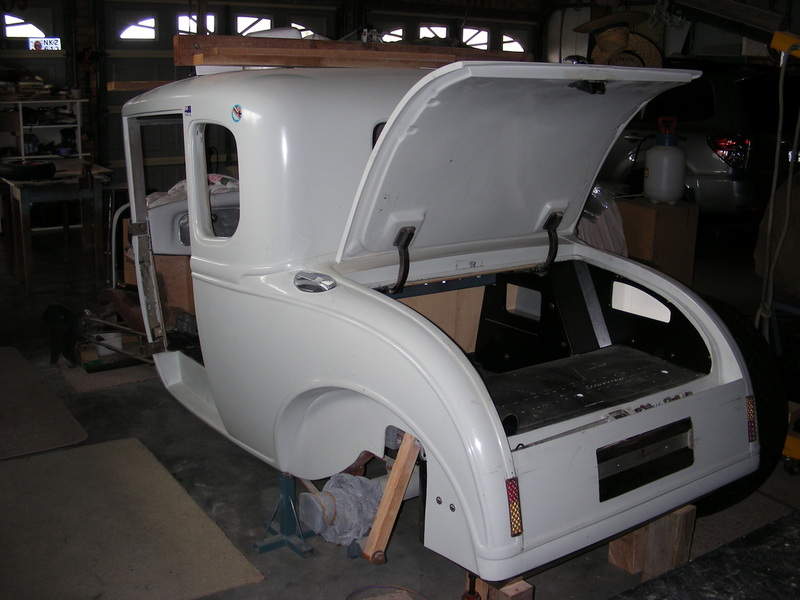 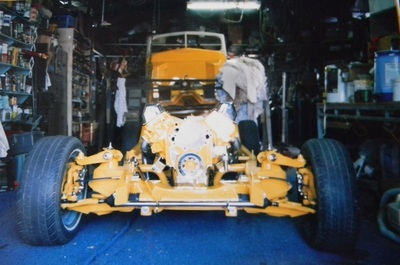 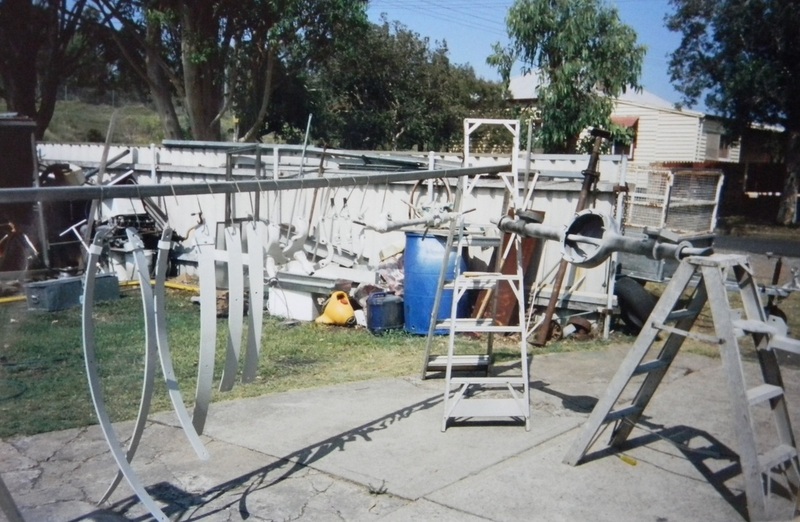 He has been collecting parts and building cabs, doors etc for many years and now is the time to put it all together and have it completed by early 2012. Thanks to a lot of help from family, friends and the dogs the build was completed in May 2012. 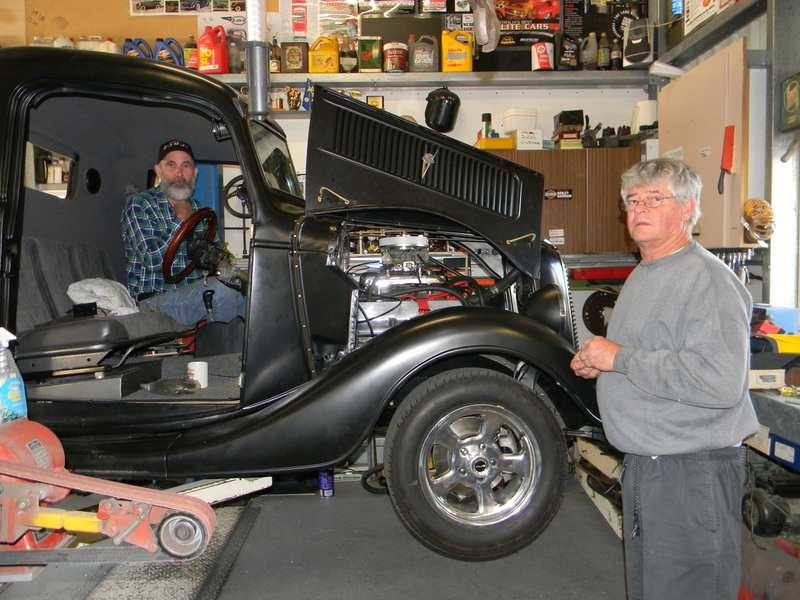 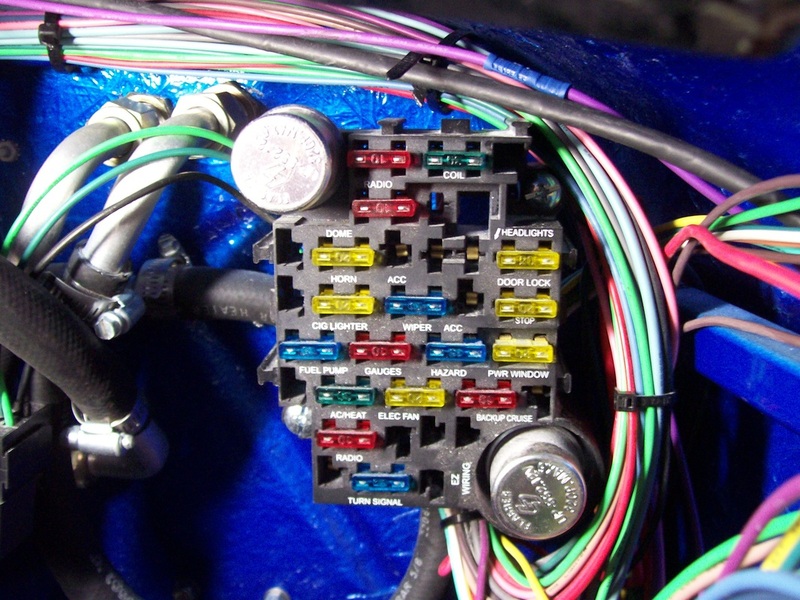 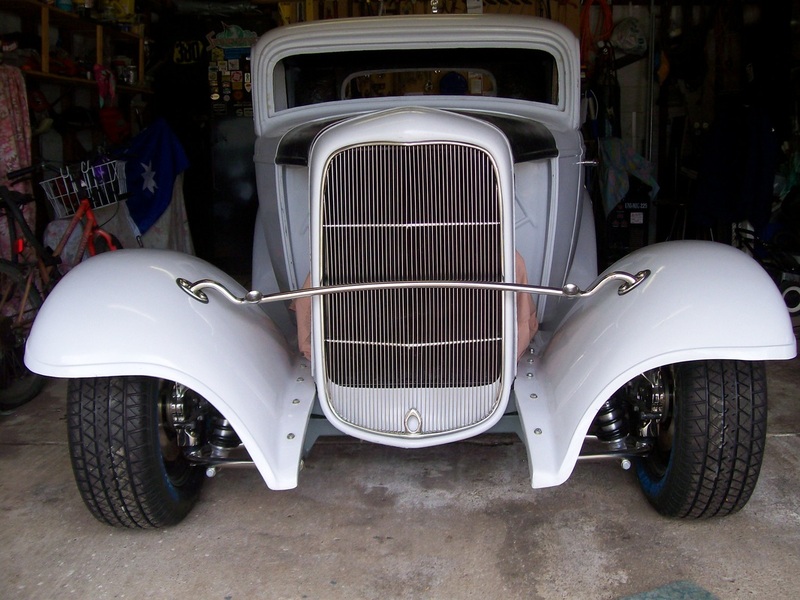 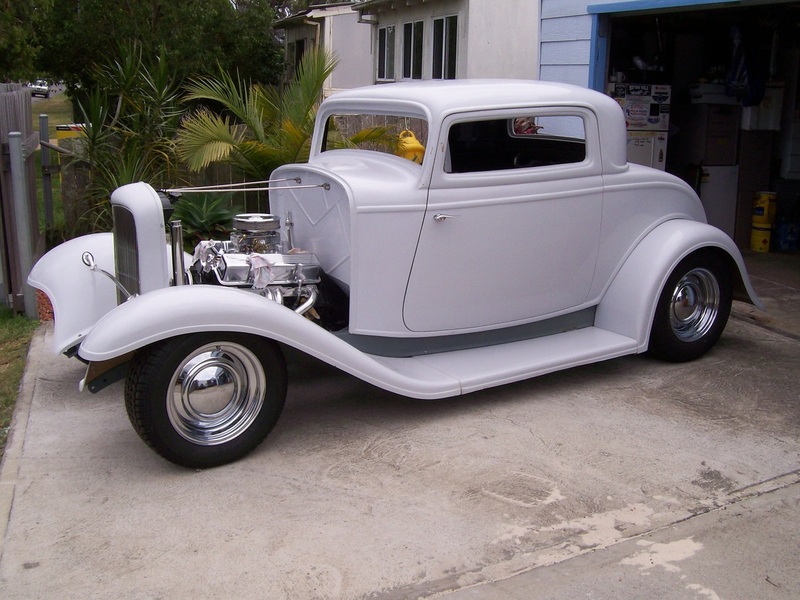 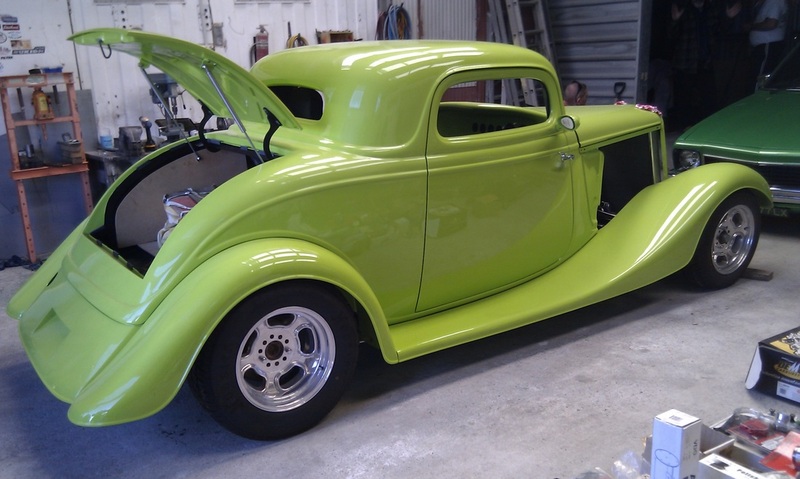 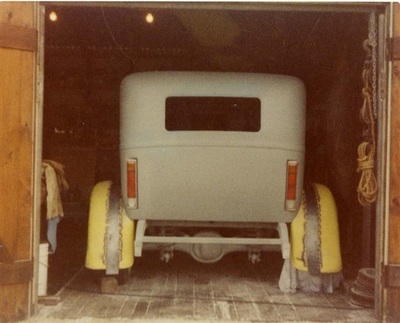 Ray had four projects on the go, a 1927 Dodge Rat Rod since completed and sold, his 1935 Ford Coupe which has now been fully rebuilt, then a 1935 Austin Sedan and lastly a 1932 Chev Sedan.